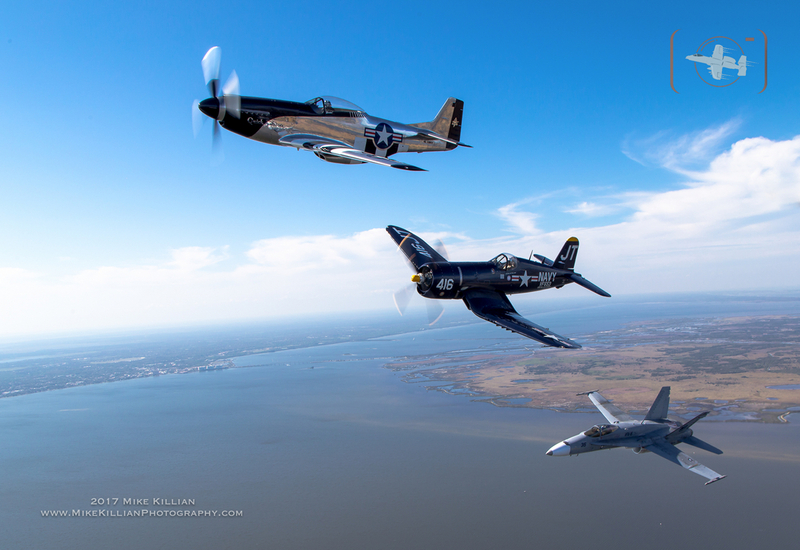 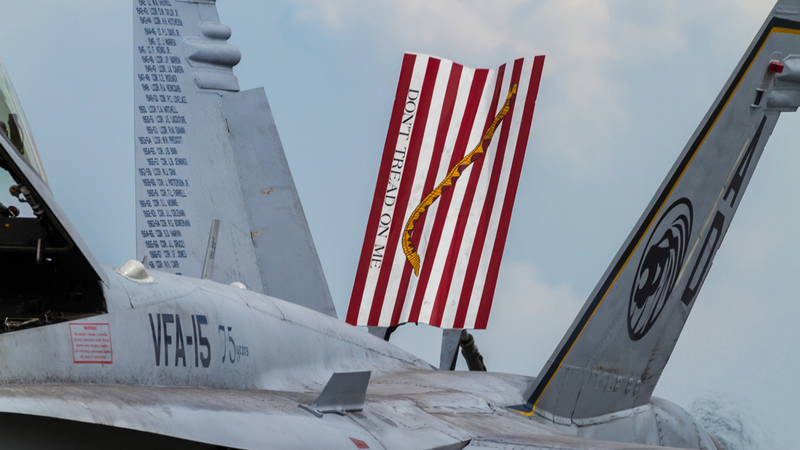 Earlier this year, the Gladiators of VFA-106 rolled out a special legacy F/A-18C Hornet with a special paint scheme to honor the storied career and rich heritage of sister squadron VFA–15, the “VALIONS”, who were decommissioned this past spring after 75 years of service. 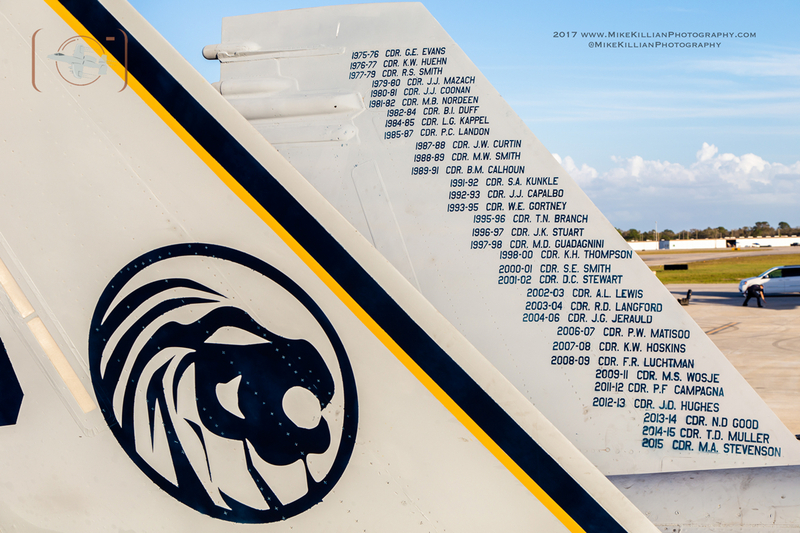 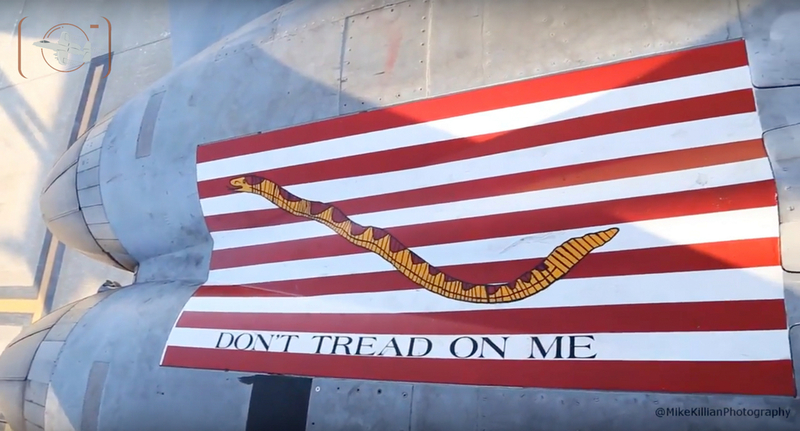 Sporting a special “seagull” paint job in honor of the squadron’s time operating the A-7E Corsair II, the Hornet was flown at just a few select air show sites by the Navy Tac Demo team, and APD was honored to fly alongside at the TICO Warbird Air Show in Florida to produce images to help tell the story. 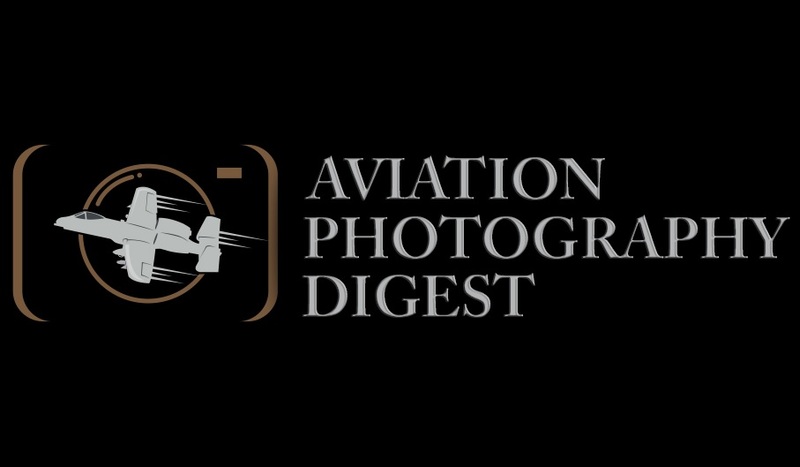 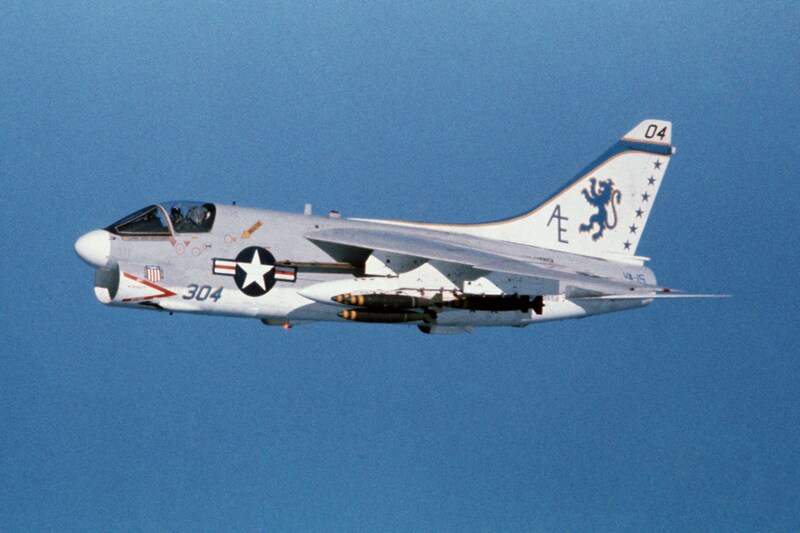 Sixteen years later they transitioned to the A-4 Skyhawk, before flying the A-7E Corsair II, which the VALIONS flew until 1987 when they transitioned to the F/A-18 and were re-designated from VA-15 to Strike Fighter Squadron Fifteen (VFA–15). 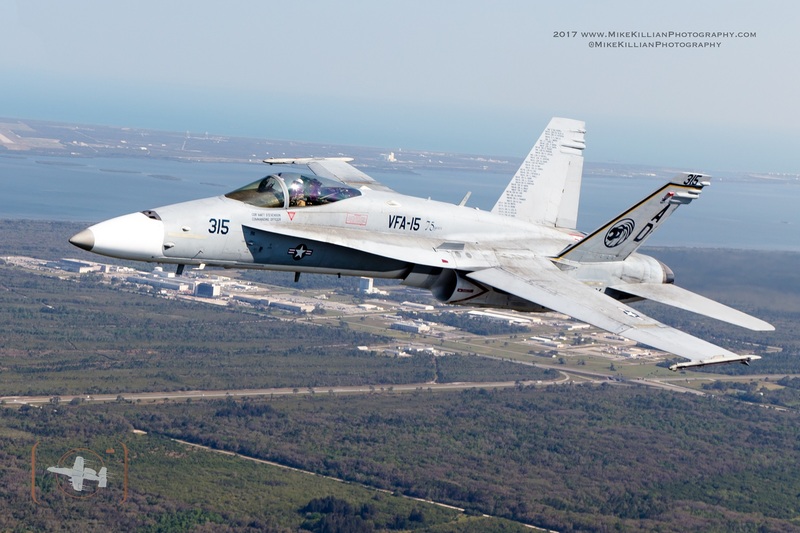 The loss of VFA–15 came as a victim of the 2017 National Defense Authorization Act, with the Navy eliminating three squadrons and reducing Carrier Air Wings to nine until the number of deployable carriers can fully support a 10th wing, or until Oct 1, 2025 (whichever comes first), at which time the Navy will return to a strength of 10 Carrier Air Wings. 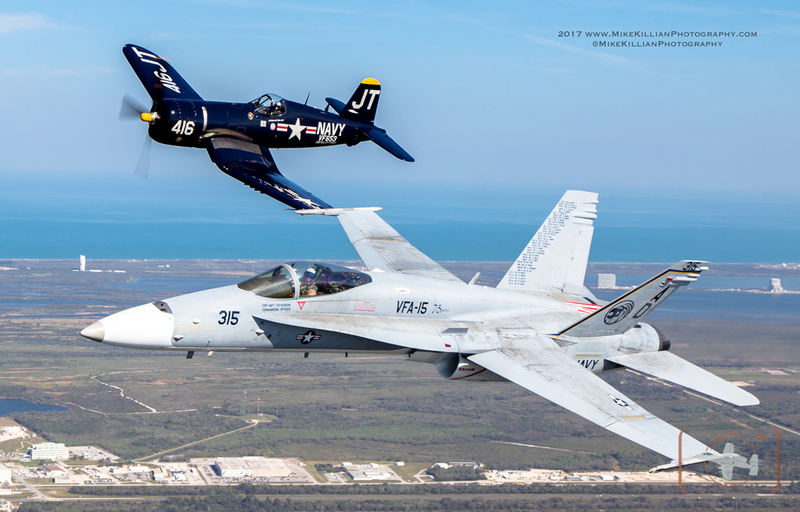 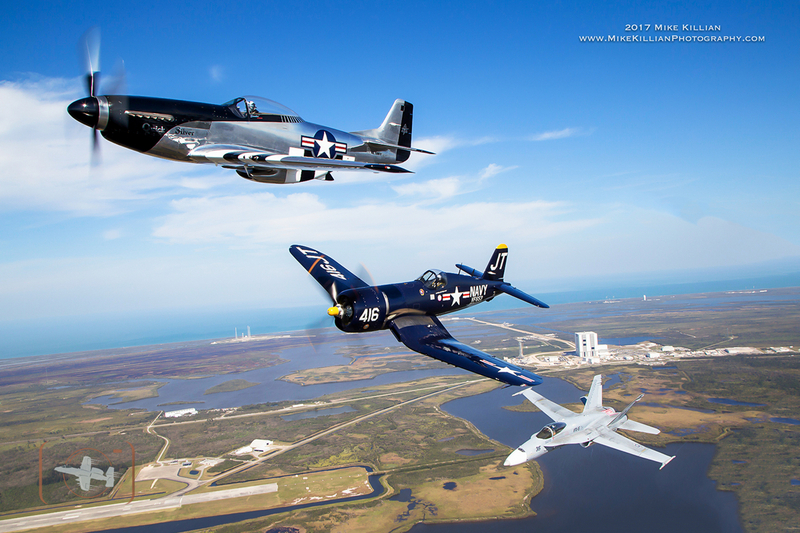 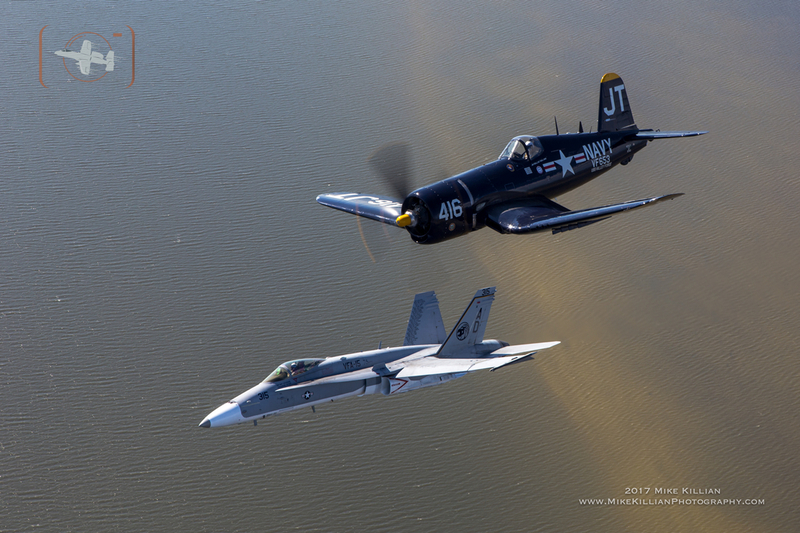 With thanks to Greg McNeely and the Aeroshell Aerobatic Team for flying photo ship, as well as VFA-106 and the U.S. Navy Tac Demo team.